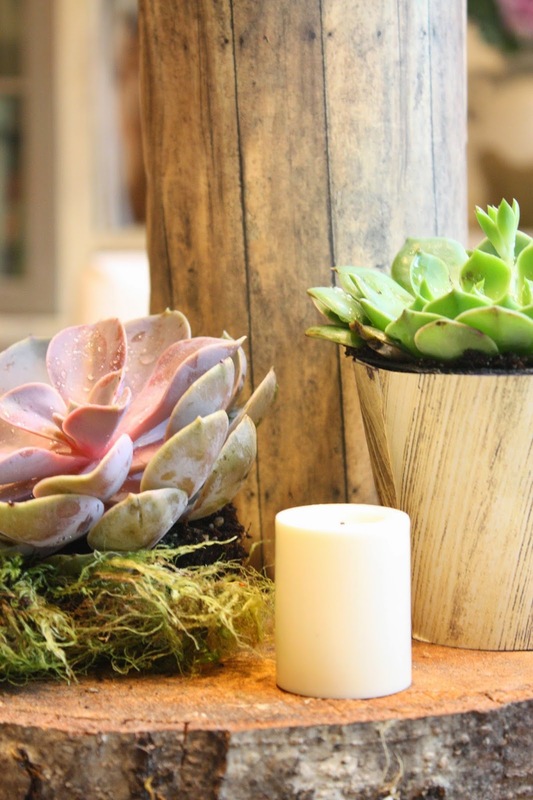 This is a quick and rustic centerpiece you can make in minutes. All I did was wrap containers in faux wood scrapbooking paper, cut to size, and adhered with glue. I added some ornamental cabbage, succulents, and moss on top of a log slice. Battery operated candles finish off this simple centerpiece! 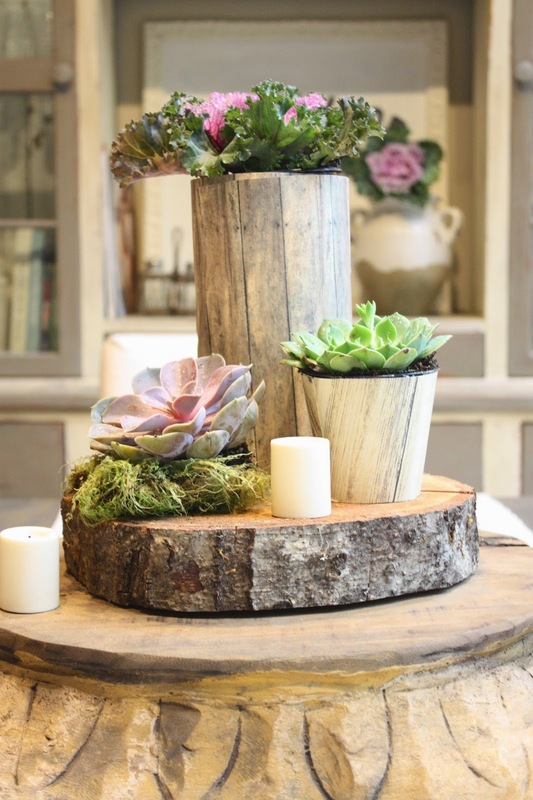 Would you please tell us where you got the beautiful wood capital that your pretty centerpiece is sitting on? what a cute idea and i would never have guessed that it was scrapbooking paper!